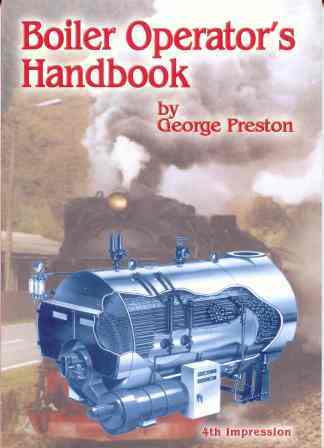 George Preston started his engineering career with the Harland Engineering Company in Scotland. He then spent several years with the British India Steam Navigation Company as a Marine Engineer Officer, mainly on steamships, visiting most of the countries around the Indian Ocean. One of these countries was Australia where he met his future wife, Ruth. He "swallowed the hook" a year after they were married and went back to Scotland where he became involved in hospital engineering in the Scottish Border country and in Glasgow before spending twelve years as the Factory Engineer of John Player's cigarette factory in his home town of Stirling. These occupations saw him involved in the operation or management of a large variety of boiler installations. George moved to Australia in 1979 with his wife, Ruth and their two children and after working in automotive battery engineering and production, became an Inspector of Machinery with the Queensland State Government. He studied at Queensland University of Technology and gained his Graduate Diploma in Occupational Health and Safety. He left Government service in 1995 to start his occupational health and safety consultancy, which includes training and assessing candidates for their national boiler certificates. George is a founding member of the Association of Accredited Providers founded in Queensland. The Boiler Operator's Handbook was written to help candidates to pass the Worksafe national examination and to fill a perceived need for a book on boiler operating that is easy to follow. The modern boiler operator does not need to know the mathematics involved in stress calculations or the chemistry involved in water treatment. It is sufficient to be able to understand what happens if water treatment is not carried out and why it is important to test boiler management systems regularly and how. This book is not intended as a substitute for practical experience, but as an aid to those candidates who are learning, "on the job", the challenges and responsibilities of operating boilers in that very best and demanding of teaching environments, the workplace.